Well, Thanksgiving has come and gone, and all the pie and cheesecake is gone as well. But, that is probably a good thing. I had and continue to have so very much to be thankful for. A beautiful day spent at my brother's where Emily got to hang with her crazy cousins. A couple of days spent geocaching with Emily and Bobby. Black Friday shopping and bargains galore; my best bargain being the $150.00 coat for Emily for which I paid a mere $19.99. In other words. Family, Family, Family. And the family book I read this week was Gator Dad by Brian Lies. 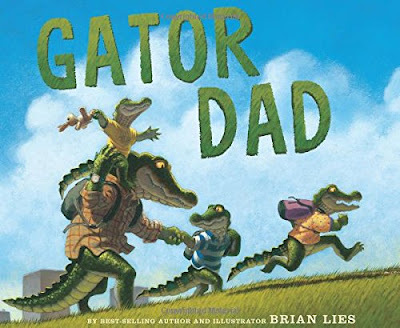 It was a celebration of dads and the things they do with their children. 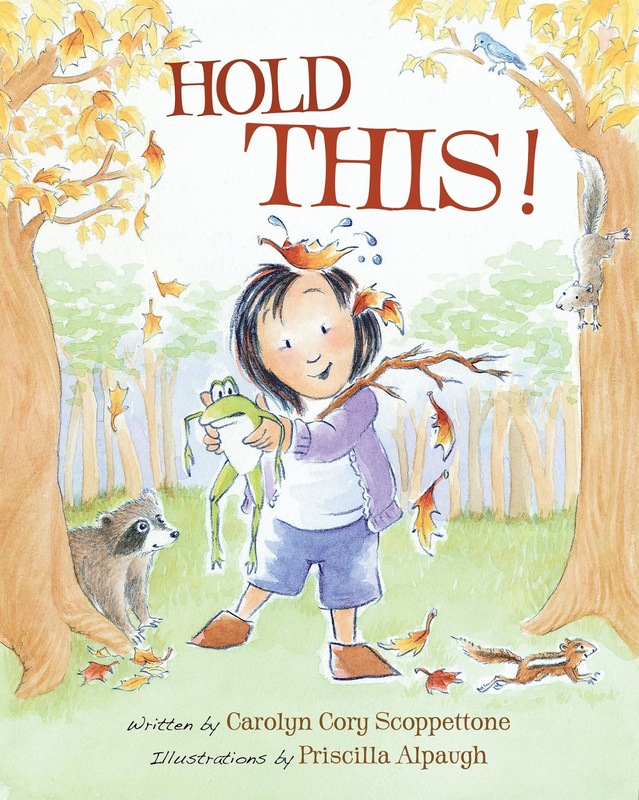 My favorite part of this story was the phrase was, "Let's Squeeze The Day". Whether you think that means to squeeze all the fun one can out of a day, to squeeze all the fun one can into a day, or to squeeze all the love you can into every minute of the day, it boils down to putting family first. And family is always something to be thankful for. Well, that about wraps it up for this week. Join me next week for another exciting episode, same crazy time, same crazy channel. 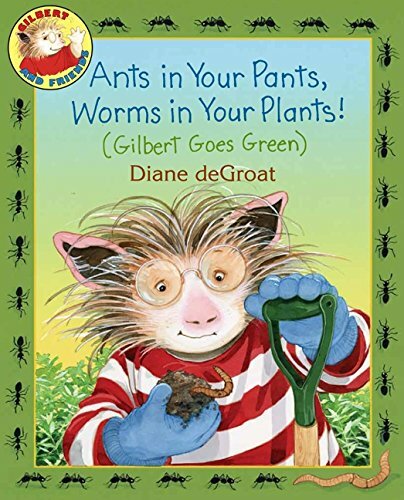 Also be sure to drop by and join the Literacy Musing Monday Link Up where you will find other great blogs, or my personal website Fun With Aileen where you will find more on reading, writing, and my very own chapter and picture books. And finally, you can find me on twitter @AileenWStewart if you want an extremely brief glimpse into my days. After Emily's and my recent trip, this past week was spent getting back into our home school routine, back to choir, and back to taking Emily to Wednesday church. I caught up on laundry, grocery shopping, and I readied for a weekend book event with one of my besties Deborah Boerema. Together we are known as the Story Sisters. 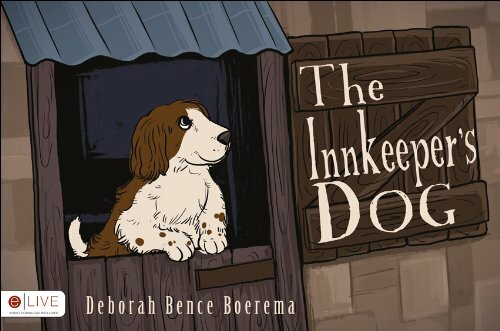 I promote my five books and she promotes her Christmas story, The Innkeepers Dog. I have always loved the Christmas hymn, The Friendly Beasts, and Deb's book is very similar to that hymn. Her main character, Thaniel the Spaniel, is the only animal that missed the birth of Christ, and he feels like he isn't special. However, the innkeeper's son and the other stable animals soon help him to realize that each of us is special. Deb has been having a bit of trouble with Amazon keeping her book stocked; but if you contact her directly, I'm sure she would be able to send you a copy should you want to purchase one of your own! I finished up my very last batch of apple butter and made a snowman jar jacket for one of the jars I am going to give as a Christmas gift. All it takes is a little felt, a little thread, and some Velcro. First I took two pieces of cream felt and measured how high and how wide the pieces should be to cover a pint jar. Next I cut out an orange carrot shaped piece for the nose and two red circles for the cheeks. I sewed them on with a blanket stitch, stitched on some eyes and a mouth, and then blanket stitched the second piece of cream felt onto the back so the face stitching couldn't be seen. At first I didn't know how to make a blanket stitch, but a video soon had me stitchin' away. lastly, I attached the velcro to the edges and wrapped my jar. A small round piece of Christmas fabric over the lid and under the rim made my snowman look like he was wearing a hat. 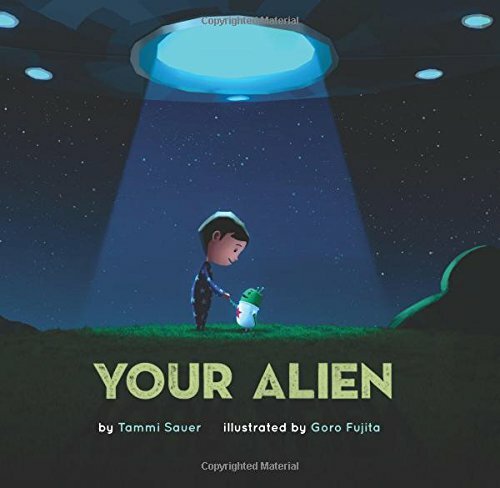 I also read a book my library just purchased, and since I know the author Tammi Sauer on social media, I was super excited to find this book. As I began to read, Your Alien, I was reminded quite a bit of Laura Numeroff's writing style. But although similar to the "If You Give Books", Tammi's story was unique as well. 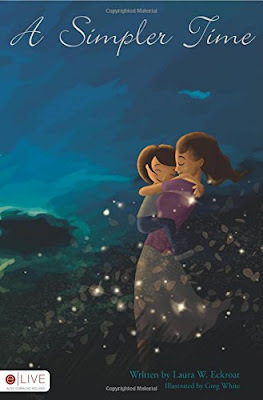 It was a beautiful story of the power of hugs and was superbly illustrated. I personally am a super huge fan of hugging, so I would definitely recommend this book for kids of any age. I know this week's post usually comes out first thing Monday morning, but Emily and I didn't get back from our recent road trip until late Sunday evening. So here I sit scrambling to compose all of my thoughts about our visit to Hershey, Pennsylvania and the Central Massachusetts Children's Book Festival. This year I decided instead of just going straight to the book festival, we would take two extra days and visit the delicious town of Hershey. We stayed at the Hershey Lodge which was quite nice and boasted an indoor mini water park. The water area is really geared more toward children six and under, but Emily found just enough fun stuff to entertain herself. The beds in the room, however, were a bit on the hard side. Emily flopped down on one and it did not bounce at all. 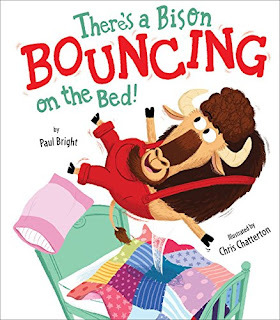 Speaking of bouncing on the bed, one of the books in my review pile was called There's a Bison Bouncing on the Bed! This book was a bundle of rhyming fun which started with Bison bouncing on the bed. Friends started joining Bison on the bed and the inevitable happened__ the bed broke. The surprising part was that it wasn't Bison's bed and someone was in the bed while Bison and his friends bounced. 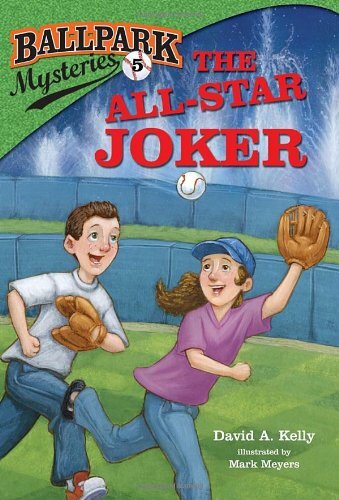 I don't want to spoil the fun, so you will have to read this book yourself to see who became a bouncing board. And of course it goes without saying that we went to Chocolate World. We took the mini tour and heard singing cows. We saw a four D interactive movie (which we both highly recommend). We made our own candy bars. We took part in a research taste test/survey and earned free Hershey bars. Emily found pressed pennies for her collection. And, we shopped. When our chocolate tanks were on full, we headed to Massachusetts for the book fest. On all of our long rides, Emily worked on a scavenger hunt and by the time we returned home, she had found twenty four out of the twenty five items. 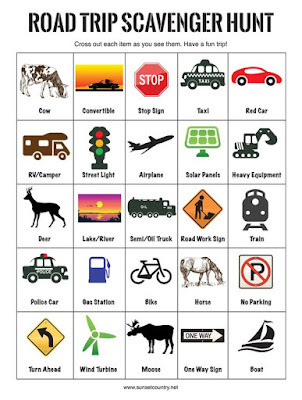 Sadly, we never saw the final item which was a moose. The book fest was great too. I was able to spend time with one of my besties Laura Eckroat, whom I only get to see every few years. I got to chill with two of my favorite guys, David Kelly and Paul Czajak. Hanging with awesome illustrators Priscilla Alpaugh and Diane deGroat happened as well. 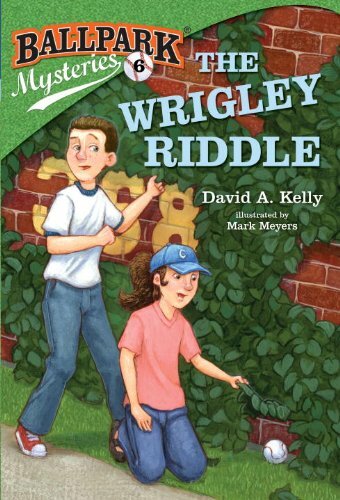 Emily decided she needed to purchase two of David's ballpark mysteries because who doesn't love a good mystery! 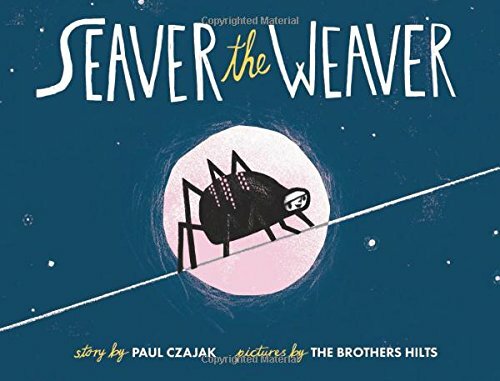 I purchased Paul's book, Seaver the Weaver, for my nephew; and I purchased A Simpler Time, my favorite of all Laura's books, to add to my collection of autographed kidlit! This past week Emily asked me if she could make a scare crow magnet similar to one she made last year. I told her that was fine, but I didn't realize she would get out the materials and start working on it herself. She gathered Popsicle sticks and glued them in a row on a piece of square paper she had cut. She glued an extra one at an angle to make a separation between the face and the hat. She painted the hat with poster paint, drew the face on with shapries, and made little braids out of some twine I had in the craft cupboard. She finished it off with a flower from the sticker drawer and a heavy duty magnet for the back. I was really impressed with her finished magnet and by the fact that she took the initiative for this project. And as I looked at her scarecrow, I realized this craft could just as easily be turned into a snowman which is what I will be doing with the kids in December when I am a guest art teacher during her Independent Studies Day. So if you have some craft Popsicle sticks lying around, why not make a scarecrow magnet with your kiddos. 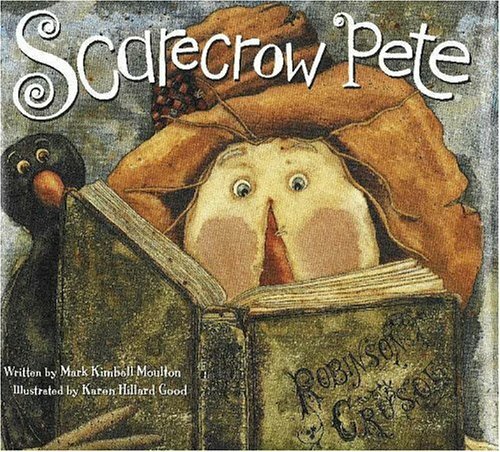 And it just so happens that this week when I went to change the library display case I found a great scarecrow book to review. 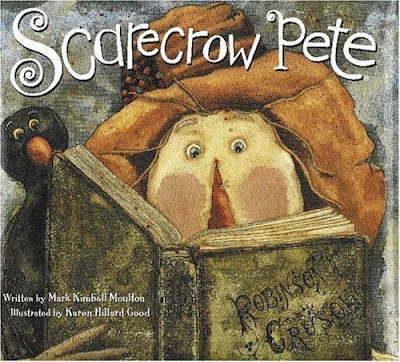 It is called Scarecrow Pete and is an imaginative story of a boy who finds out that his garden scarecrow can speak. And what Pete wants is to be read to. 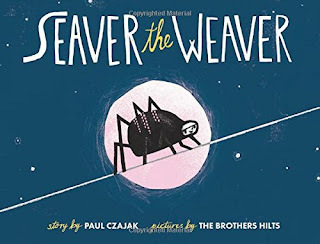 This is a beautiful book encouraging a love of reading and the illustrations are pretty whimsical. This book is from 2005, but it is well worth seeing if your library has a copy or buying a used copy.